A detailed study of the most significant seismic effects that took place in the city of Catania has been performed in order to build up a site catalogue, to assess seismic hazard directly from it and to provide the picture of damage scenarios which happened in the past. In the last 1000 years Catania was destroyed twice (1169 and 1693) and more or less severely damaged twelve times (e.g., 1542, 1818, 1848, etc.). Destruction or severe damage are mainly related to earthquakes occurring in the coastal sector of the Hyblean foreland, while slighter, moderate effects are usually due to earthquakes taking place in the seismogenic sources of the Messina Straits and in the inner Hyblean region. The analysis of the historical reports allowed to delineate the damage scenarios of the most relevant events. In particular, for the 1693 case-history it has also been possible to map the damage distribution with reference to the existing urban settlement of the city. 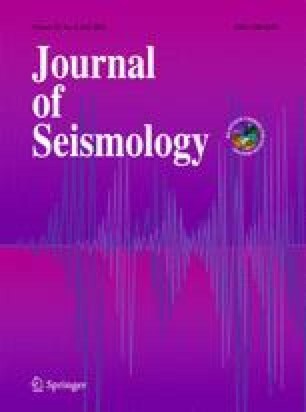 The site catalogue was used for assessing seismic hazard; the obtained estimates show that the probability of occurrence for intensity 7 and 10 exceeds 99.9% for 150 and 500 years, respectively. These values, associated with the high vulnerability caused by the city growth which occurred mainly before the introduction of the seismic code (1981) and without ad-hoc planning policies, implies that the urban system is exposed to high seismic risk.